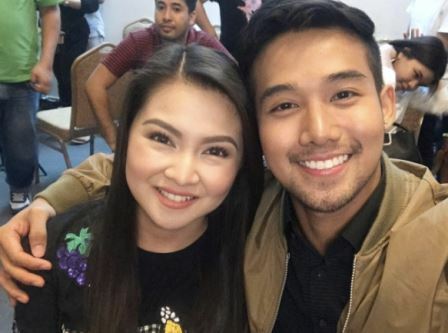 Ken Chan and Barbie Forteza Reunited in the Upcoming Movie "This Time I'll Be Sweeter"
Their love story in the recently concluded hit romance Primetime TV series "Meant To Be" didn't end there. The KenBie loveteam will soon hit the big screen! 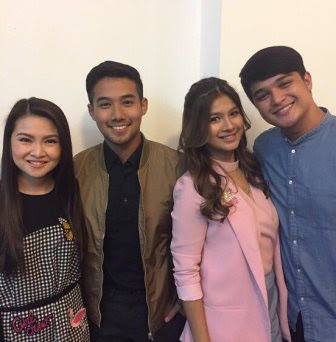 Kapuso young stars Ken Chan and Barbie Forteza will team up in the upcoming Regal Films movie, "This Time I'll Be Sweeter." A story conference has been held announcing the said special project together with the movie's lead casts. Aside from the reunion of Ken and Barbie, the movie also serves as the reunion of Barbie and Thea Tolentino. We may recall that Barbie and Thea worked together before in the hit afternoon series "The Half Sisters" wherein Thea was the antagonist. In the movie, Barbie revealed that Thea will again play as Kontrabida. And perhaps, she will be the third wheel to the KenBie tandem. "Parang may magic sa tambalan namin," Barbie shared pertaining to her tandem with Thea. Remember the success of "The Half Sisters" before which aired for 2 years reigning? Adding more twists in the story is Kim Rodriquez who is said to be another antagonist. She will be playing the sister of Ken in the movie.